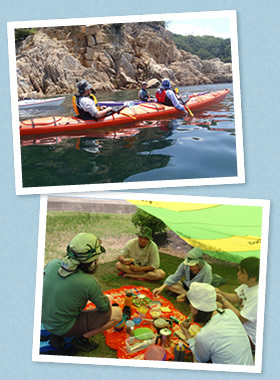 The Setouchi, this peaceful inland sea is a kayaking paradise. Off-shore islands, Tsutajima, always offer us a great day of adventure. 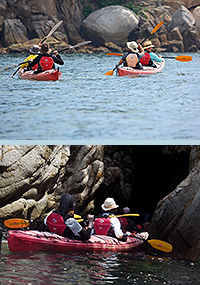 If conditions permit, explore sea caves which only kayaks can come close to. We stop for lunch at one of the local bays enjoying the peace and tranquility of this remote location. Kayak from our base. Total kayak time appox 4.5 hours with breaks. Enjoy lunch on a secluded beach of Tsutajima-island.